Rawdon MBC will be holding there own day on the 4th of august. Freesailing on our large lake and free car park. 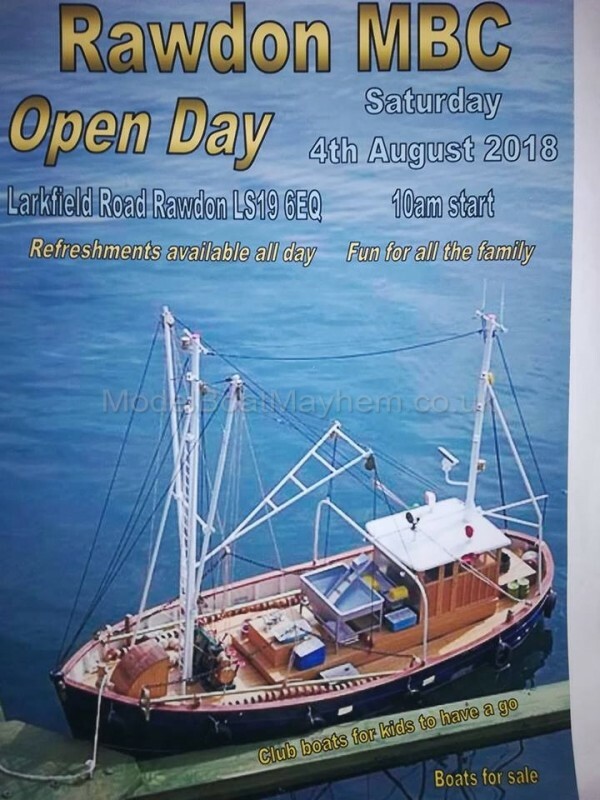 Refreshments will be available all day and also there will be boats available for the kids to use.the sat nav will bring you to the lake which is about one and a half miles from Leeds and Bradford airport. We will also have a "Bring and Buy" stall. Open to all visitors whether or not club members. No fee for showing; 10% to club funds from sales price. HI Jim Sadly will not be able to make this one. I arranged to go to the Bridlington club open day months ago. The dates sadly clash hope the day goes well.